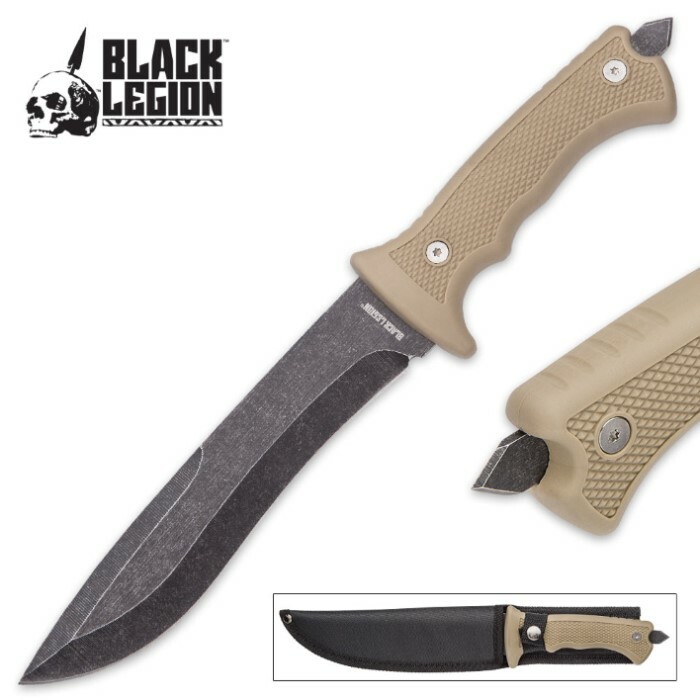 After your firearm, the Black Legion Desert Warrior Tan Fixed Blade is your secondary defense weapon in the heat of battle. It has a beefy 7” non-reflective, black stainless steel blade and a sharp skull piercer on the end of the handle. 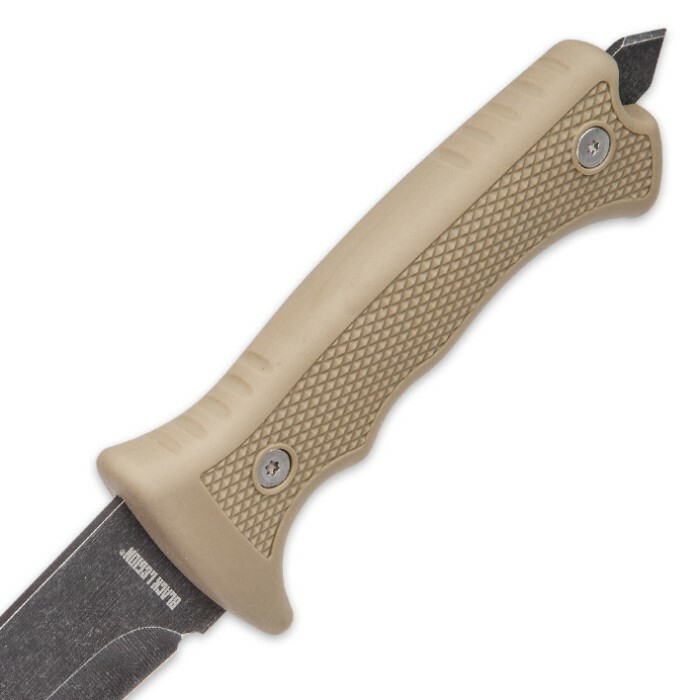 The tan TPR handle is textured, which makes it really grippy, plus, it is ergonomically designed for that perfect fit in your hand. 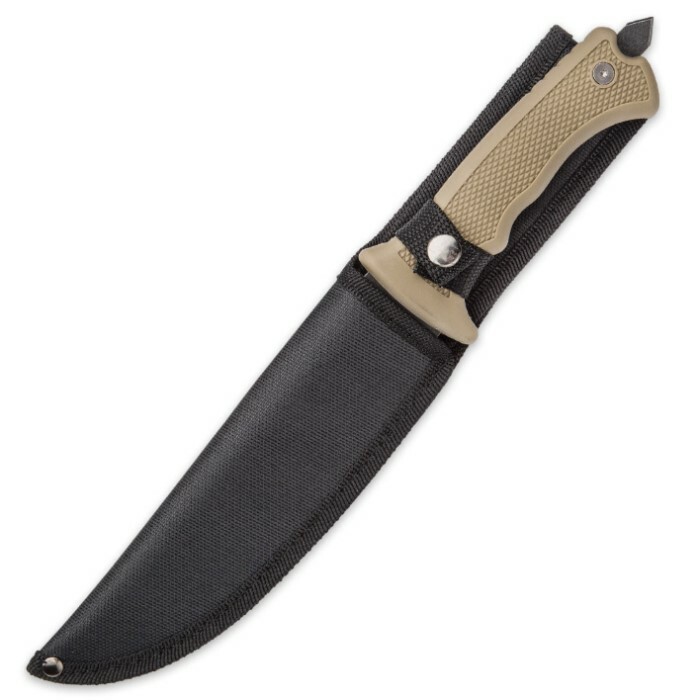 A tough nylon belt sheath is included. I like this knife very much. From the stonewash finish of the blade, to the rubbery grip of the handle. Plus, the pommel end is seriously devastating as well. Killer knife. Thanks BudK. Black Legion rules! I am really starting to like Black Legion! This knife is sharp right out of the box, it has good weight and the skull piercer is, as I said, WICKED!! IT has a solid feeling, grippy grip and a stonewashed blade. This is a great collectible or definite yes for close quarters combat. I would hate to have to use the skull piercer but it's there if you need it. I bought mine on a Ten Dollar Tuesday deal and got free shipping. $12.99 is still a great deal in a knife that gives you this many options for self defense. I love it.